One person is dead Wednesday after a multivehicle crash on I-270 in Bethesda, Maryland. WASHINGTON — One person is dead Wednesday after a multivehicle crash on Interstate 270 in Bethesda, Maryland. Just after 3 p.m., Maryland State Police were called to the scene of the crash on the southbound lanes of I-270 near the exit for Montrose Road. 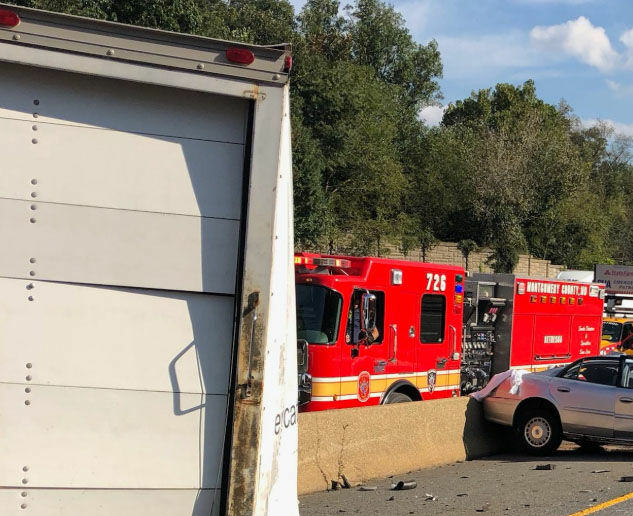 Montgomery County Fire and Rescue said a box truck was parked on the shoulder when a car traveling south veered to the left where the truck was parked. The car struck the rear of the truck that was unattended. The driver of the car, a 17-year-old boy from Boyds, Maryland, in Montgomery County, was pronounced dead on the scene. The crash closed the two left main lanes of southbound I-270 and the left main lane of the northbound side before the Montrose Road exit, causing significant delays during the afternoon rush hours. All lanes reopened by 8 p.m.
WTOP’s Abigail Constantino contributed to this report.